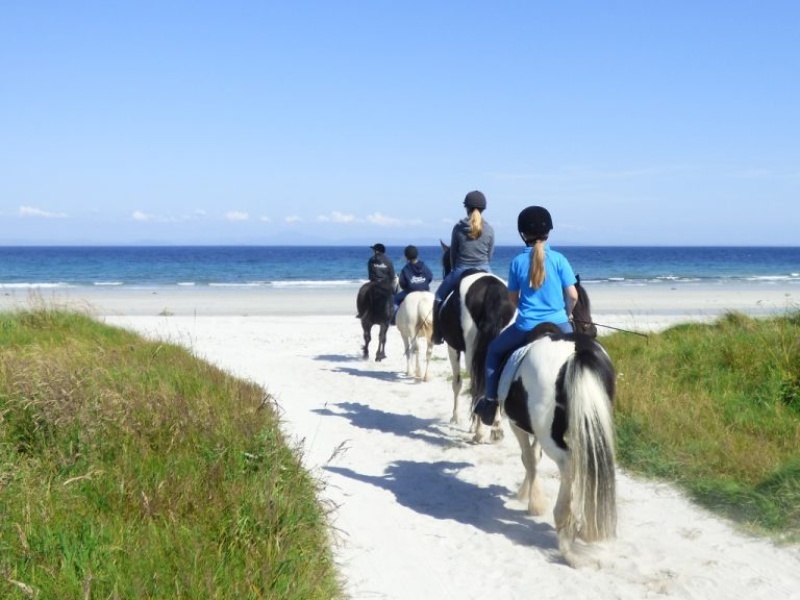 Imagine horse riding on an unspoilt Hebridean beach with clear turquoise water lapping the sand. 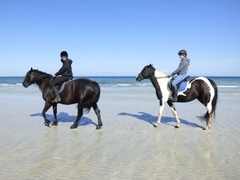 At Tiree Trekking this dream can become a reality. Join us and see the wonderful coastal landscape of Tiree from the saddle! All our horses are calm, dependable, obedient and well-schooled and are suitable for beginners as well as more experienced riders. 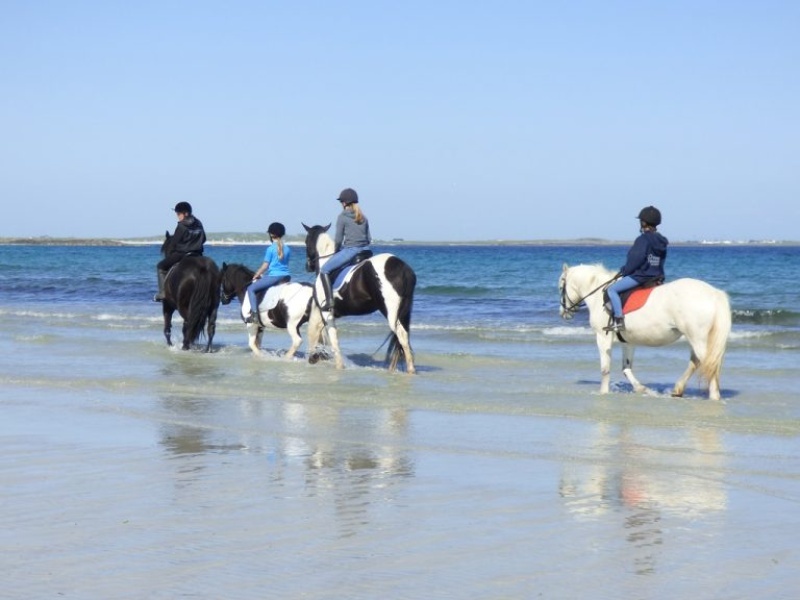 We can accommodate all riding abilities and complete beginners are welcome. 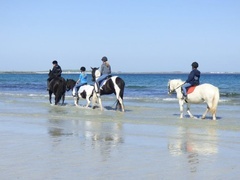 Pony trekking is a fun way for the whole family to experience and enjoy the unique Island of Tiree. £12 for each 2-hour session. 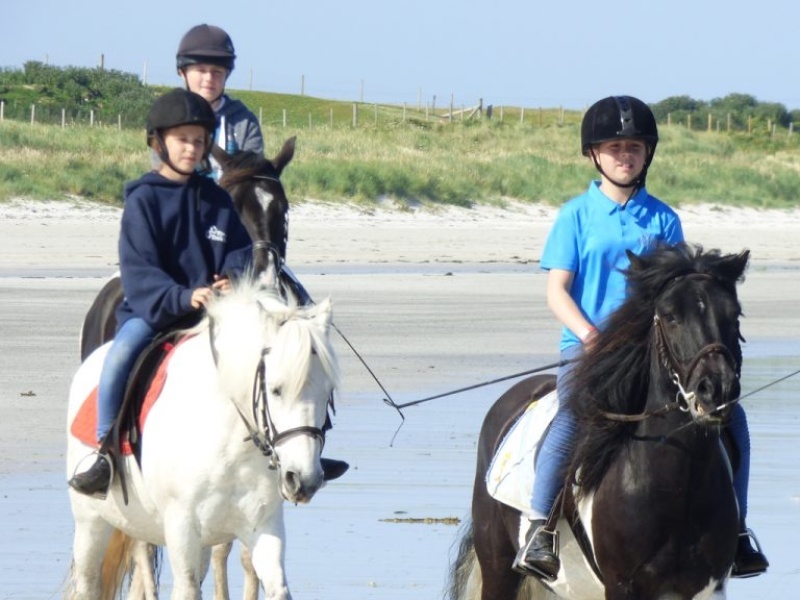 If you’re looking for a fun way to celebrate a special birthday then try one of our pony parties. Everyone can enjoy these parties, regardless of riding ability. 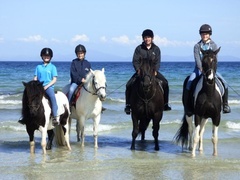 Pony parties are ideal for an age group of 3 years and up. Both riders and non-riders are welcome. A typical pony party lasts for 60 minutes with 2 ponies and handlers and would be suitable for up to 10 children. Generally we start by introducing the ponies to the children and allow them time to do some grooming and then they can take turns to ride the ponies. 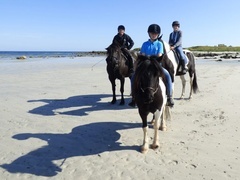 Our ponies are well behaved and extremely friendly. Some young children may need an adult or parent to walk alongside them. 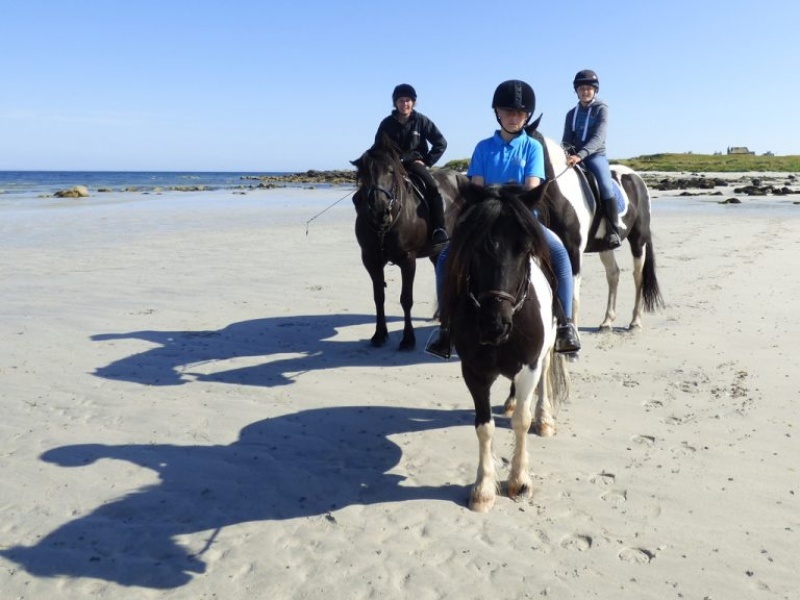 We are fully insured and experienced, competent and attentive handlers always lead the ponies. We aim to keep our prices affordable, so that everyone can enjoy pony rides at their party.